Arties Party – Artie's Party is a group of very talented artists who dedicate their time and talent to raise money for childrens' chairities at the Syracuse Nationals Car Show every July. Last year we raised over $75,000 for the Ronald McDonald House! Special thanks to all these great artists for making it happen! This year’s party is on July 19th, 20th, & 21st, 2019 and as always part of the Syracuse Nationals car show. Once again the Winfield Award finalists will be on display and competing this year for $15,000 in prize money! Again we will be supporting the Central New York Ronald McDonald House with our charity auctions this year. We’re really looking forward to raising a bunch of money for them to help support these seriously ill children and their families. A big thank you to all the sponsors, builders, and volunteers who made the Artie’s Party Cruiser a great success, and a special thanks to Big Al Liebmann for all his hard work! 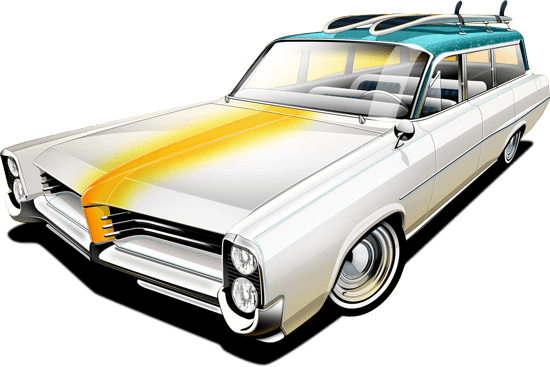 The Artie’s Party Cruiser- a one of a kind 1964 Pontiac Safari Wagon- sold for $26,000! This raised our total to $95,000 for the Ronald McDonald House Charities of Central New York! Be sure to support our sponsors, as they supported us! PPG 1 Shot Paint Company will be the title sponsor for this year’s Artie’s Party again this year! “Gasoline Alley” returns with a great nostalgia race car display. Dino from Carolina Sign Works will be heading up that part of the show. We’ll have a great display of cars from all forms of motorsports. Things are going to get even louder outside because along with the Frantic Ford Mustang funny car we’ll have the Super Camaro funny car. We’ll be starting them up and raising more money for the Ronald McDonald House by letting people bid on “seat time” for the starup proceedure. As always, Trane Corporation will be returning to cool us all off with their portable air conditioning units. Our hotel again this year will be the Candlewood Suites. Xcaliber Corporation will be sponsoring the REAL Artie’s Party on Friday Night. Donna & Sam and sam will be back to entertain us as always! If you were here last year, you will remember their great sound, but if you need a reminder, be sure to visit their MySpace page, or check out their YouTube channel. The Ronald McDonald House will be providing lunch and dinners for pinstripers during the entire event by a variety of delicious restaurants. Richard and Janice Westlake of Westlake Auction Service will be back this year providing their auctioneering skills! Free admission to the car show all three days. Free parking. -Due to the major reconstruction at the fairgrounds, parking at the building may be limited. If so, a shuttle service will be provided. Special rates for hotel accommodations. Very cool event t-shirt and decal. Plenty of panels and stuff to paint. And most importantly- a chance to hang out with your painting buddies while helping a good cause. 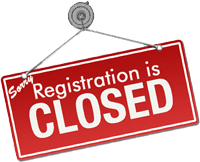 Registration for pinstripers this year is currently closed. We hope to see you all at the party! If you cannot attend and would still like to participate, you can donate a piece to be auctioned during the event. You will receive an event t-shirt for your donation.